Most people go to Hawaii for the sun, sand and surf. Not me, I went for the locally grown fruits and vegetables…but then again I’m not most people. 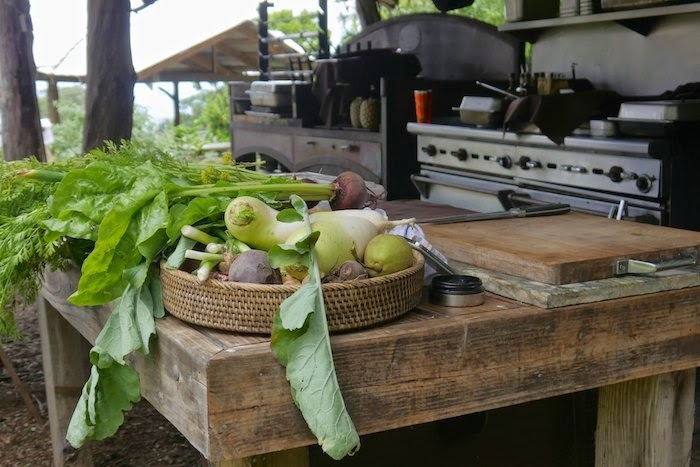 Hubby and I recently spent 8 days in paradise visiting local farms, meeting chefs and cooking with interesting, ingredients. 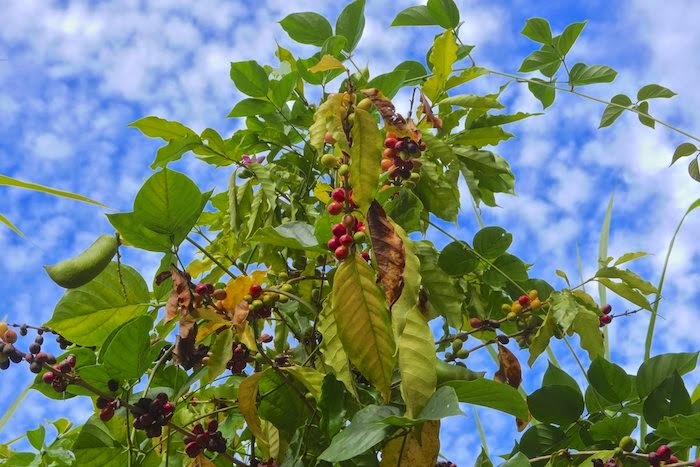 The cottage we rented was nestled amidst avocado, lilikoi and peppercorn trees on a small coffee plantation in Maui Upcountry. 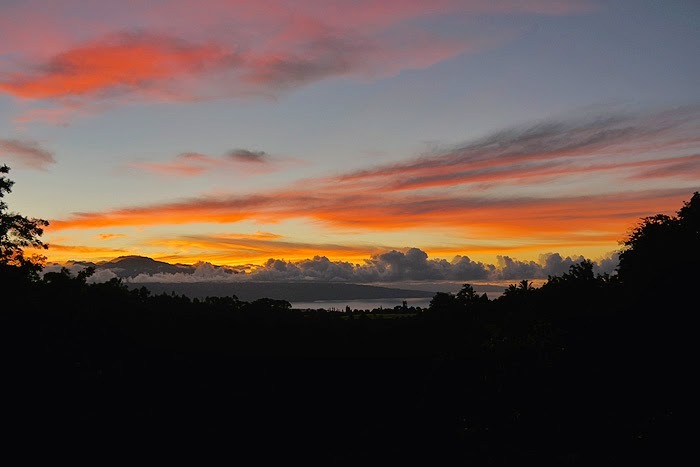 We woke each morning to sweet fresh fruit, aromatic brew and the most amazing sunrises. 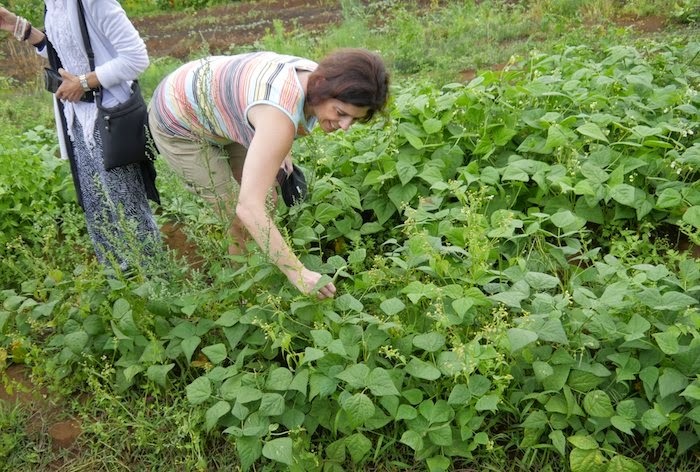 Our afternoons were spent visiting local farms, like O’o Farm, a culinary outpost on 8 acres of fertile ground; and roadside stands like the one that Kula County Farms operates. We ate delicious street food which included; fresh coconut and homemade banana bread. 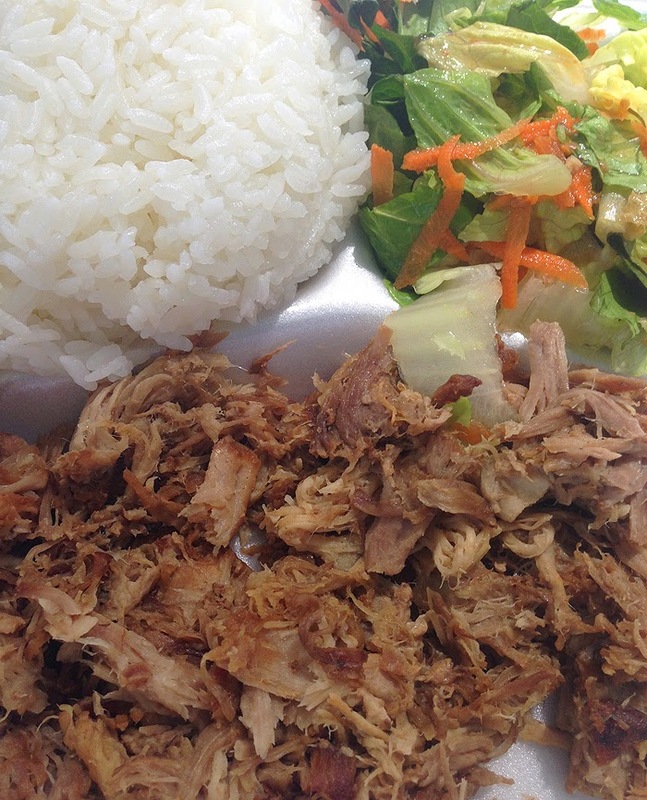 And had the best Kahula Pork, purchased from Local Food, a walk up window located in a parking lot of a small strip mall. 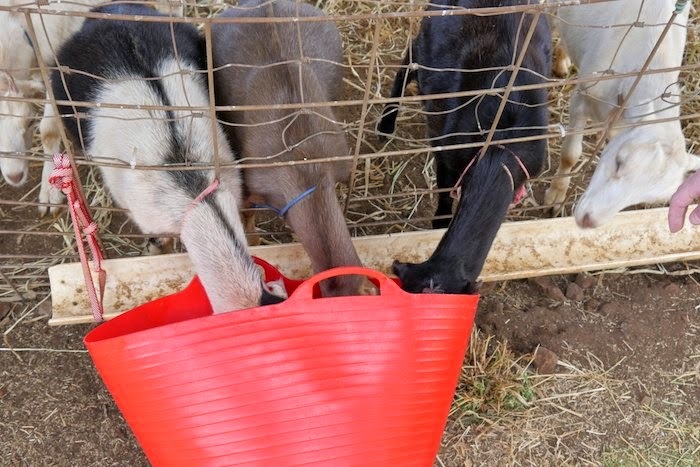 Daily adventures included a visit to Surfing Goat Dairy where we hand fed and milked some of their 140 goats. After our “evening chores” were done we sampled several flavors of the goat cheese which is made on premises and sold to local restaurants on the island. We dined with farmers at O’o Farms and had an amazing 7 course farm to table dinner at Market Fresh Bistro. The rest of our meals came from local ingredients we found at stores like Whole Foods and Mana. It was fun and challenging to come up with meals based on local produce we purchased just that morning, some of which we had never laid eyes on before. 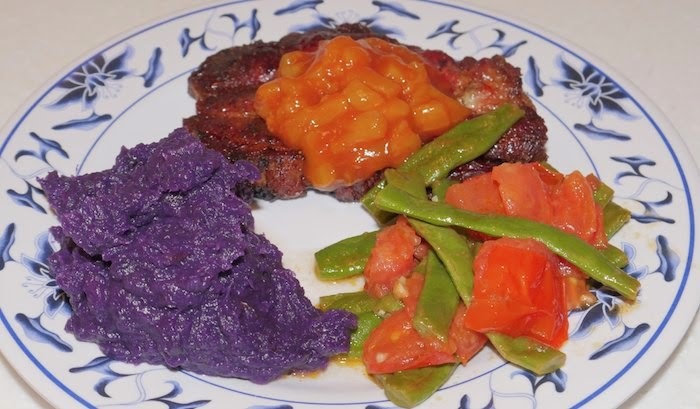 Homemade dinners included, purple sweet potatoes pureed with coconut milk, local opah and various other seafood stewed with corn, and pork steaks smoked over Kiawe wood with a fresh pineapple BBQ sauce. Though food was a huge part of our trip we did find time to take in some of the island’s beauty. We saw the Twin Falls and the Bamboo Forest on the road to Hana. 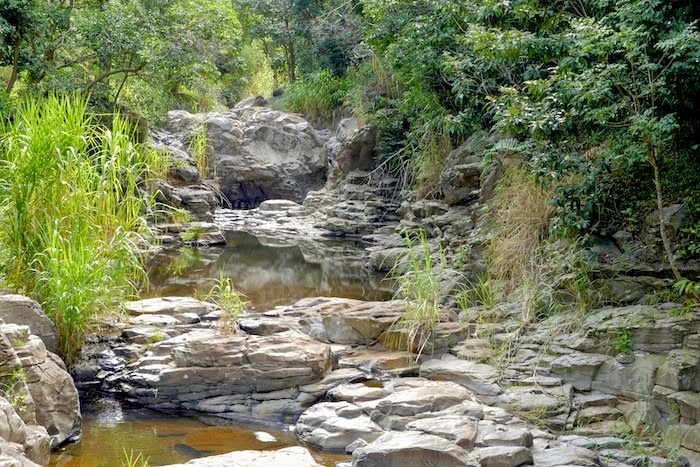 We relaxed on some beautiful beaches and even spent time hiking to sacred birthing pools. It was a food trip I will remember for a long time. I love all your gorgeous photos! I hope I can plan a trip to Maui zoo too, it's amazing! This looks like heaven! We're headed to the big island of Hawaii in a few months, and I can't wait to explore all of the farmers' markets and restaurants. What an amazing trip! And the food...Stunning! What a trip!! I've never been to Hawaii, but so jealous of the experiences you had !! That kitchen!! The whole trip looks amazing! We go to Maui at least once a year and have not made it to O'o Farms yet. It sounds great and is going on our list. Surfing Goat Dairy is always fun to go to. Such beautiful photos. I've never been to Hawaii, but I've always wanted to - for ALL of those things combined! What a wonderful experience. I'm quite envious. My hubby & I had a similar adventure last spring - our kids live in Hawaii and because they are foodies too....we ate our way across the island and lounged in the surf during the day. It was the most marvelous visit and we are looking forward to going back this spring! I am super jealous! This sounds like an amazing trip! Oh man, I need a vacation! Looks so great! That looks like a perfect trip! I so need visit Hawaii! I love Hawaii, we were there years ago. My daughter's name is Hawaiian but she's never been there so we promised to take her to see it next year. Love all the photos. I remember the food being out of this world. Except poi, I did not care for that at all.